The Prince Charles Cinema Presents: The UK Premiere of Return to Return to Nuke ‘Em High aka Vol. 2! 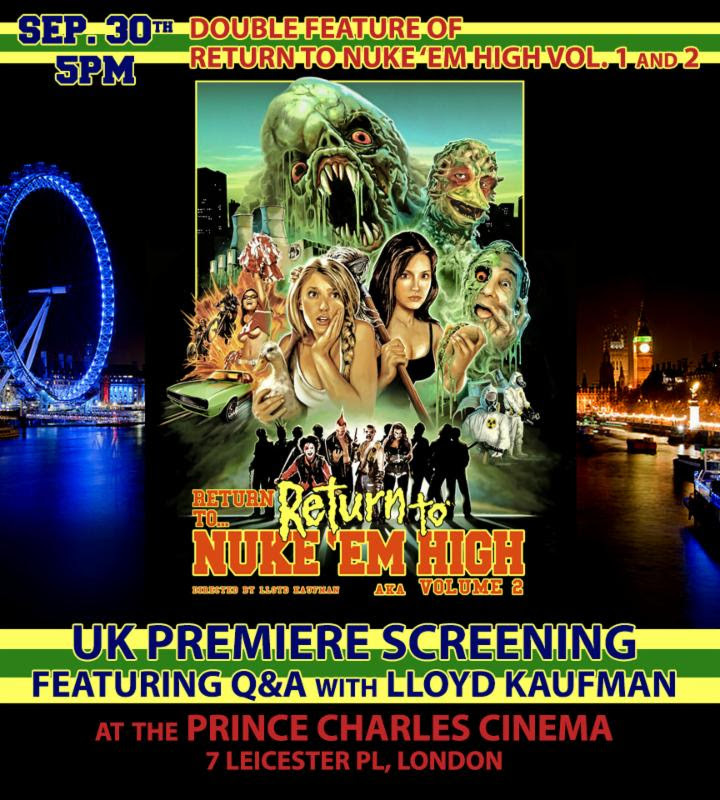 Lloyd Kaufman will be a special guest of honor at the UK Premiere of his seven year project, Return to Return to Nuke ‘Em High aka Volume 2 on September 30th, 5:00pm at the London’s prestigious Prince Charles Cinema! This tromagnificent UK Premiere will be apart of a Return to Nuke ‘Em High Double Feature with both Volume 1 and Volume 2 screening! In addition, Mr. Kaufman and guests will be holding a Q&A between Volume 1 and Volume 2. “Toxie and I are thrilled to be back in London! We had a TROMAZING time at the Prince Charles Cinema for the screening of Essex Spacebin and Tromeo & Julietearlier this year. We had to go back for the UK Premiere of Return to Return to Nuke ‘Em High aka Vol.2! 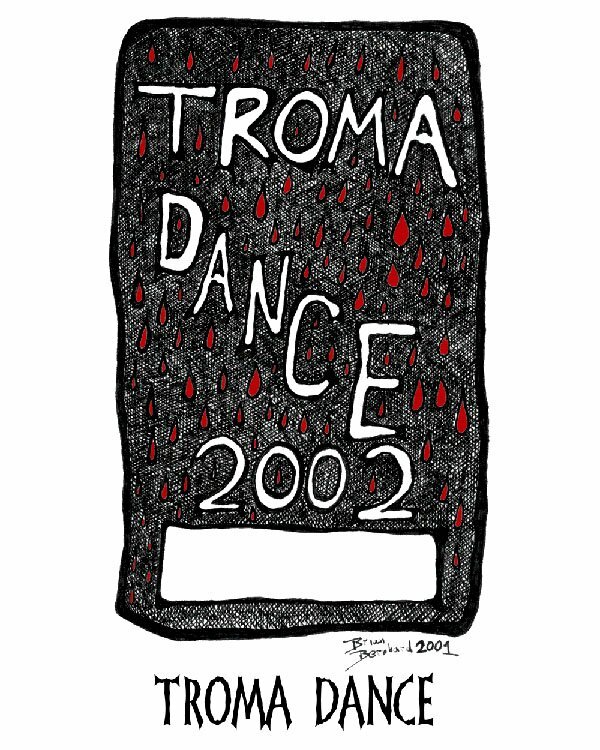 We love the Prince Charles Cinema and are very happy that the UK Troma fans are going to have DOUBLE the unforgettable experience; a Tromatic Double Feature! This could be my movie swan song – or duck song! I am gettin’ on at any moment, I could make a noise like a frog. So hurry up and buy tickets!” stated Lloyd Kaufman. Quentin Tarantino has been a fan and friend of Troma for years, and when he suggested to Lloyd Kaufman he should create an “Event Film,” Kaufman took note. “Michael Herz and I decided that to mark Troma’s 40th year we, too, would produce an ‘Event Film’ in two volumes just like Quentin did,” says Kaufman, “except slightly less lavish in the budget area.” Return to Nuke ‘Em High: Vol. 1 & 2, directed by Lloyd Kaufman, is a hilarious, thoughtful sci-fi “Event Film” with themes ripped straight from today’s headlines: the contamination and degradation of the world’s food supply, rampant bullying, and LGBTQ love triumphing over prejudice and violence. 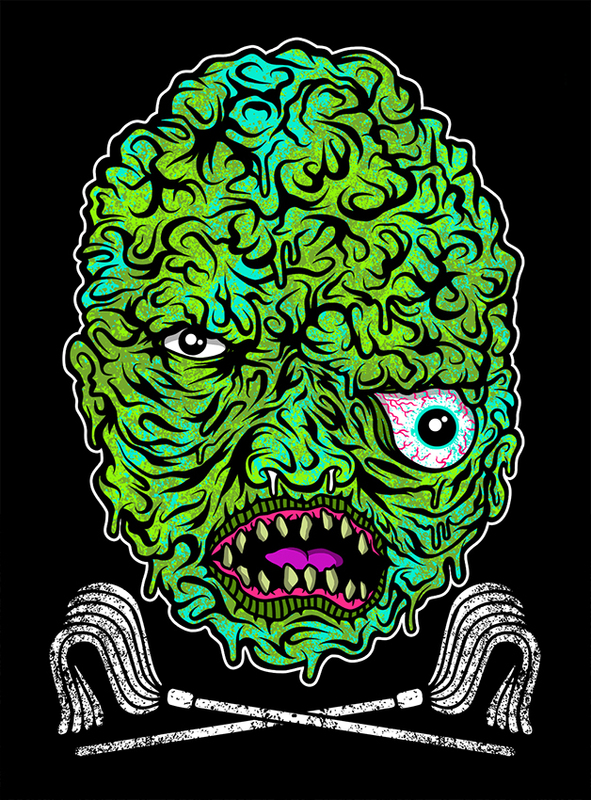 The film, a revisiting of Troma’s 1986 Class of Nuke ‘Em High is in the same vein as other classics such as Class of 1984, Rock ‘n’ Roll High School, and Carrie, but seen through the unique vision of Lloyd Kaufman and the Troma Team. 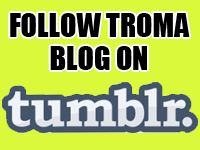 Welcome to Tromaville High School where, unfortunately, the glee club has mutated into a vicious gang of Cretins. Chrissy and Lauren, two innocent lesbian lovers, must fight not only the Cretins, mutants and monsters but also the evil Tromorganic Foodstuffs Conglomerate. Can they and Kevin the Wonder Duck save Tromaville High School and the world?